The right to life is essential.. This is an important cause. I’d like to extend an invitation to everyone to join me and thousands more in the Virtual March for Life. In the years following Roe, we were told that the issue was no longer open for debate and that we should get over it and move on. But we couldn’t get over the stirrings of our conscience or move on from an issue that cuts to the heart of who we are as a nation. Affirming the dignity and worth of every innocent human life and defending the defenseless are fundamental American values. With that in mind, this peaceful, hopeful grassroots crowd of individuals, families and students comes to our capital every year to remind us that every innocent life is beautiful, precious and full of potential. These warrior souls come to show their dedication to the weakest among us: those with special needs, women without anyone to turn to, and children without a voice. They run the helpful pregnancy resource centers, the counseling hotlines, the foster care facilities, the adoption services, and countless other outreach programs that offer compassionate assistance and friendship to women who are struggling. I know from experience the joy and blessings that come from embracing life, and I know how important their work is in helping women choose life despite less than ideal circumstances. Today, more and more young women agree with these feminist foremothers, for they know in their hearts that the culture of life empowers women by offering them real choices. Unfortunately, rather than portray this positive message, the media often focuses on divisions among Americans on this issue. But this annual rally is not about anger and controversy; it’s about a huge grassroots effort to make our voices heard in support of women and their children. Hundreds of thousands of Americans are expected to attend tomorrow’s National March for Life, which takes place annually on the anniversary of the Roe v. Wade decision. Americans United for Life Action, in an effort to bolster the real March for Life, launched the first-ever Virtual March for Life www.virtualmarchforlife.com earlier this week. This innovative online campaign allows people to create an avatar of themselves and “march” online. The Virtual March for Life currently boasts 45,000 Americans and is growing by the minute. As part of this effort, the Virtual March for Life is featuring prominent leaders who are lending their support to the cause. “The healthcare bill as currently written will unravel long-standing federal policy by allowing public funds to be used for abortion. Because of the magnitude of this threat, this year’s national March for Life will be the most important in history. We created the Virtual March for Life to encourage people to be here tomorrow and to give voice to countless Americans who can’t be in Washington but wish they could. 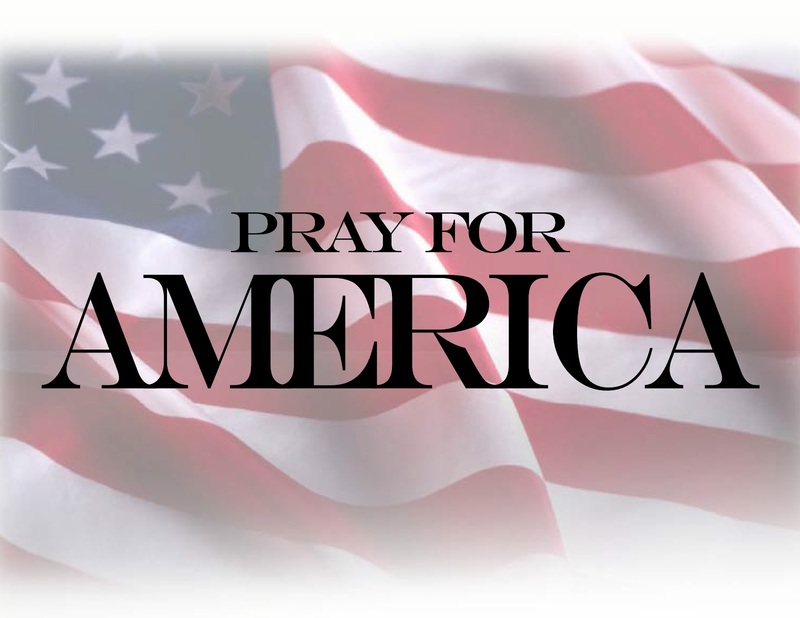 We are encouraging everyone to click and be heard,” said Dr. Charmaine Yoest, President and CEO of Americans United for Life Action. To learn more check out the site here. The right to life is one of our most basic rights, in fact, it’s mentioned quite prominently in The Declaration of Independence, you know…as in Life, Liberty, and the Pursuit of Happiness. For more information about Americans United for Life and to join all of us in the Virtual March for Life please go to the website here. Houston To Get Motivated With Sarah Palin! Sunday February 7 and Monday February 8 are going to be incredibly busy days for Sarah Palin, and highly motivating days for Houston, Texas. Gov. Rick Perry will be joined by former Alaska Gov. Sarah Palin at a rally in support of his re-election campaign on Sunday, Feb. 7 in the Houston area. Gov. Palin will campaign with Gov. Perry to highlight the positive momentum Texas is experiencing through conservative leadership that has cut taxes, created jobs, strengthened education and secured our border. Visit http://rickperry.org/sarah to sign up now! Tickets to the event can be had by going to the website listed above and registering. Governor Perry, who has played a major part in the success of Texas during these tough times is running against Washington insider and noted RINO….Senator Kay Bailey Hutchison, as well as upstart candidate Debra Medina. Longtime friends, Governors Perry and Palin have both exhibited commonsense conservatism and a strong set of values that are the hallmarks of true leaders. This will be a must attend event. Monday morning Sarah will be up bright and early to join other great motivational speakers at the aptly named mega-event: GET MOTIVATED! GET MOTIVATED! is a business seminar series that features some of the most in demand speakers in the country. Joining the event with Sarah will be powerhouse speakers such as Rudy Giuliani, Lou Holtz, Zig Ziegler, and General Colin Powell, as well as Microsoft President Rick Belluzzo, and Tamara Lowe, author of Get Motivated! You can get more information and purchase tickets by checking out their website here. While GET MOTIVATED! doesn’t give out specific times for who speaks when, for security reasons, it appears that Sarah will speak early on, because the GET MOTIVATED! event is only the first of her busy day. Sarah Palin has added a second speech to her appearance in Redding in February. Tickets went on sale Monday morning. The former Republican vice presidential candidate will address the Sierra Cascade Logging Conference. Tickets for her first speech scheduled for February 8th at 7pm, sold out in days. Palin has now added a matinée speech for the same day at 3pm. There are about a thousand tickets remaining, they run $54 and $74. You can purchase them at Northern Lights Energy, KLXR radio or the Redding Convention Center. There’s a two hour time difference between Texas and California, so that helps with logistics, but needless to say, Sarah will be starting her week off on a very busy note. If you are in either the Houston area or Redding these will be must attend events for sure. Many thanks to Texas For Sarah Palin’s Josh Painter for his hard work on this report. The last movie Governor Palin saw was The Proposal by pay-per-view at the family home. “It was a such a great movie….It integrated a lot of an Alaskan theme and environment,” she said. Governor Palin has an iPod she uses for running loaded with Southern Rock and Country Western songs. Some of her favored artists include John Rich. Governor Palin runs six miles a day if possible, else she takes kick-boxing classes. “I bet you when you run, the moose run faster when they see you,” O’Reilly said jokingly. The remainder of the interview pertained to vacation venues and paparazzi. Some would take issue with a human interest story such as this, but Governor Palin is a living, breathing, human being. She is one of us, and items such as this help us know her better and tighten our bonds with her. It’s so often said, that “it’s not the person, it’s the message.” If that were the case, then why bother supporting Governor Palin or anyone else for that matter? We could all just run and get elected, yes? The reality is, millions of people can share the same political belief — whatever it may be — but some people are able to enunciate that message; and execute policy that aligns with the message. Some people are able to draw a crowd, inspire others to follow and support them, and inspire people to work towards Transformational Change. These people are called Transformational Leaders. Talk show host Rush Limbaugh, now a colleague of Governor Palin’s once said that she could ‘fill a room with 20,000 people by doing nothing more than reading from a cookbook.’ Ron Devito, the author of this article would not even be able to get five people into a room for the same cookbook reading. So, the mantra that it’s purely the message and not the person is pure, unadulterated baloney. We look to people like Governor Sarah Palin for leadership and inspiration. What our leaders do for pleasure is very much a part of who they are. Governor Palin’s hunting and shooting skills translate perfectly into the political arena. Knowing your quarry’s habits, strength’s weaknesses; observing, orienting, directing, and acting; acquiring, recognizing, identifying and eliminating targets; a forward lean, never flinching; fire discipline — they all translate to politics. 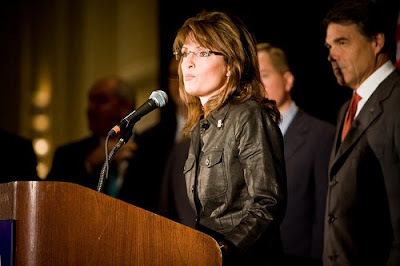 Governor Palin’s political moves are all rooted in her well-honed hunting and shooting instincts. Photo is a frame grab from “Range Day” a YouTube video posted by SteveOh.